Chez Franca B&B is located in Rocca di Papa in province of Rome, locality Colle delle Fate in Via delle Ortensie 15D/2, in the heart of the Roman Castles. 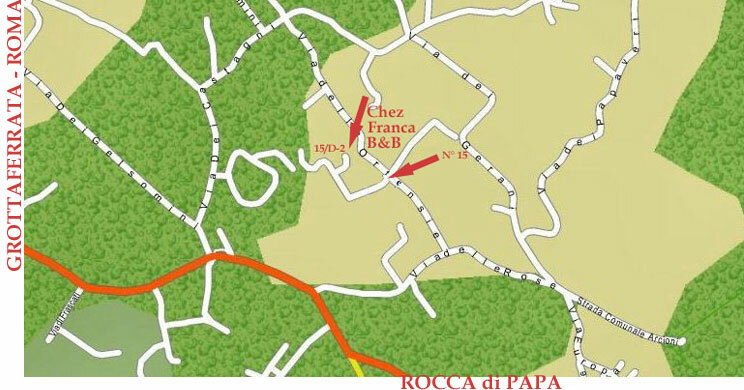 Our Bed and Breakfast is few kilometers from Rome and not far away from the airport of Ciampino. 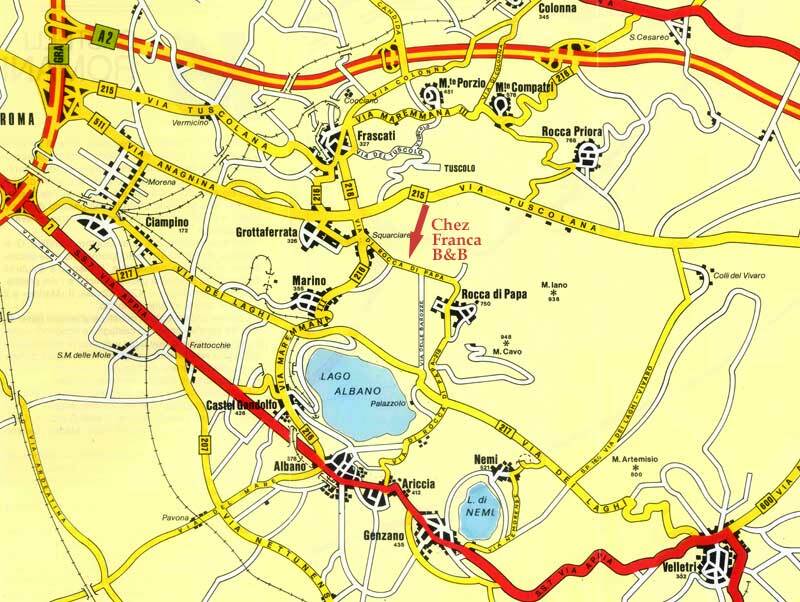 Exit Monte Porzio Catone, direction Frascati center, therefore continue for Marino, at the roundabout of Squarciarelli take road upwards to Rocca di Papa, after approximately 2 km., 300 m after the second traffic lights, turn 1th on the left Via delle Rose and after 300 m 1th on the left Via delle Ortensie, after 300 m. 1th on the left n° 15 (beginning private road), after 200 m. 1 th right narrow lane slightly in fine climb in bottom, last small villa n. 15/D-2.